A collection of addition and subtraction problems to challenge students and get them thinking. The types of problems are similar to those they will see in the future when then must use skill like joining, separating, and comparing. Result unknown, change unknown, and start unknown problems are included. Student resources (number lines and 10 frames) are included to allow students to show their thinking. Problems also come in multiple formats to meet the needs of how you teach problem solving. 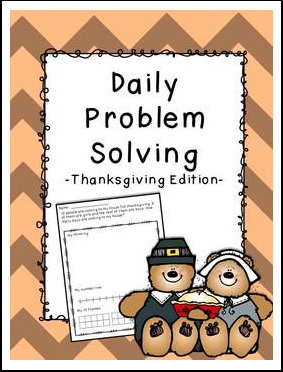 Thanks & Happy Problem Solving!